When your kids’ toy rabbits live in a house that’s more chic than yours, maybe you need to up your style game. 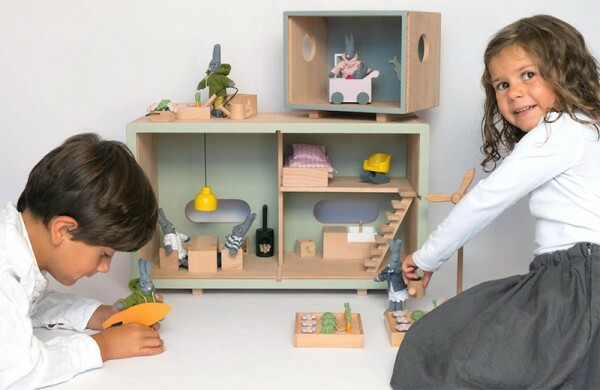 The Ecoquartier houses by Encore Jouets have something for everyone – they delight kids, and give adults design inspiration. Encore Jouets is a fledgling company out of France, but their bunny houses are anything but amateur. The Ecoquartier houses are modular houses that come in container-style boxes kitted out to look like they’re straight from the pages of Architectural Digest. There’s the super deluxe L’Eco Maison Meublée (€229) with a kitchen area and wood-burning stove, sleek bathroom, and floating stairs up to a bedroom complete with a mid-century modern rocking chair. The whole place is done in natural wood with pops of colour in the mint green walls and yellow light fixtures. There are add-on rooms like the surf loft (€129) that comes with a handy wall mount to hang your surfboard after a day of chasing swells, and plenty of tiny logs to stoke the wood stove. There’s also a baby loft (€99) made super authentic by the Ikea Expedit shelf. Either loft can perch atop the main house or be a standalone residence. 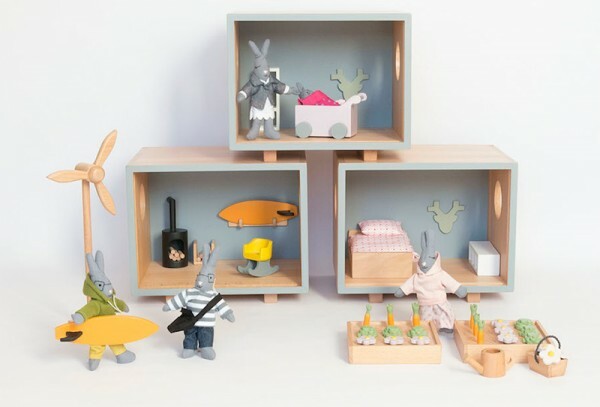 Of course such beautiful houses cry out for occupants, so Encore Jouets has created bunny families to fill the rooms. The bunny cast of characters comes with names like Augustine, Fernand and Henriette (€25). The kid rabbits have groups of friends or “copines” who can come over after school and eat all the carrots in the fridge. There are also separate accessories like bedding, colourful suspension lamps, rolling toy boxes or our favourite, the little veggie patch (€36) complete with carrots, cabbage, garden tools and a windmill. 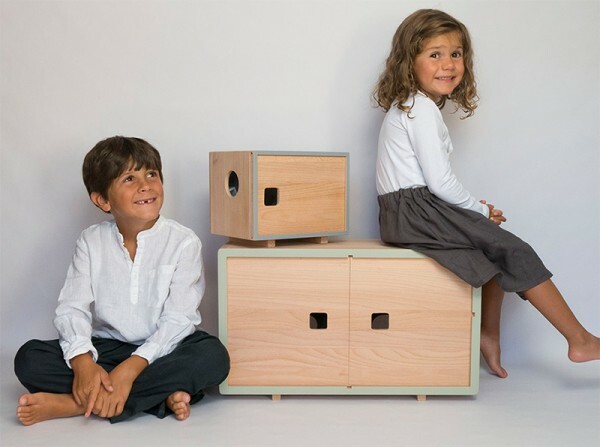 The Ecoquartier houses are available at Encore Jouets, but sadly they don’t ship to Australia yet. We’ll give you an update when they start shipping overseas.